It feels like Jackson is growing so fast already. I take lots of pictures but I like to record his first days other ways too. 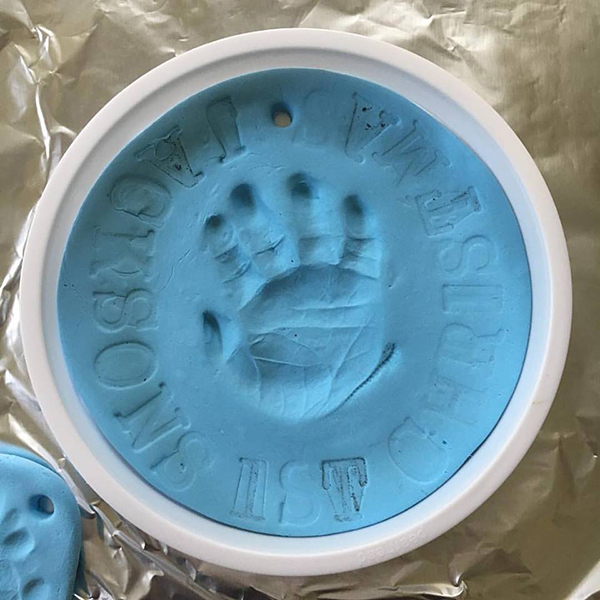 My mom got us this handrprint ornament kit for Christmas. My friend Tina likes to poke fun at my LWH otherwise known as Little Wrinkly Hands. For some reason, my hands look unusually wrinkly. Looks like Jackson inherited them from me. 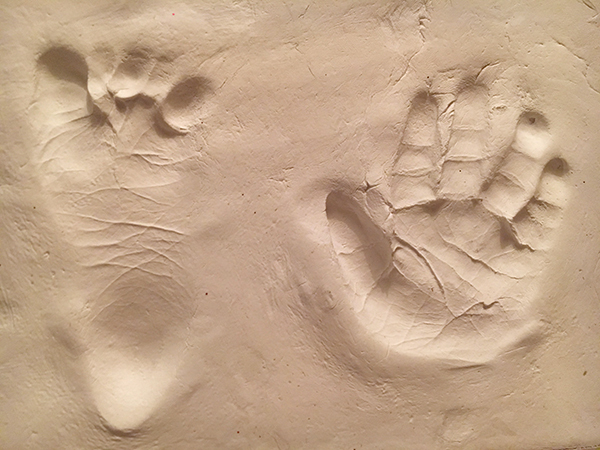 My dear friends Peggy and Walt in Las Vegas sent us a hand and foot print frame. It turned out really nice. When I stare at the impressions they start to look 3D to me. These aren't the final photos but I couldn't wait to put it together! Someday I'll look back and wonder how he was ever so small. 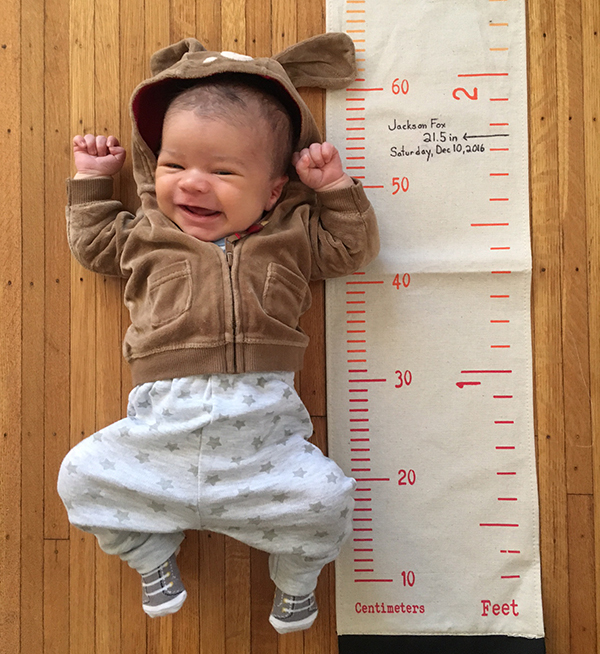 Jackson Fox - One Month Old! 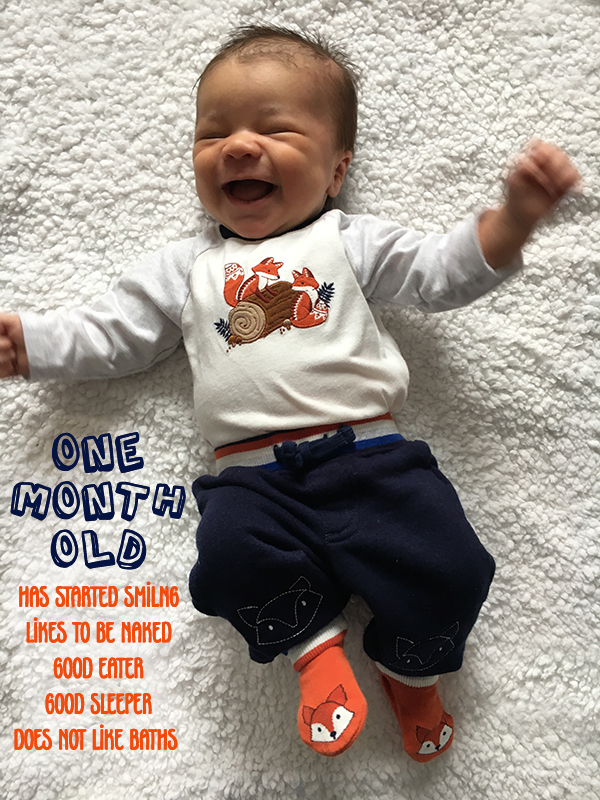 Jackson got geared up in his fox outfit for his one month photo. It sure doesn't feel like a month has gone by already. 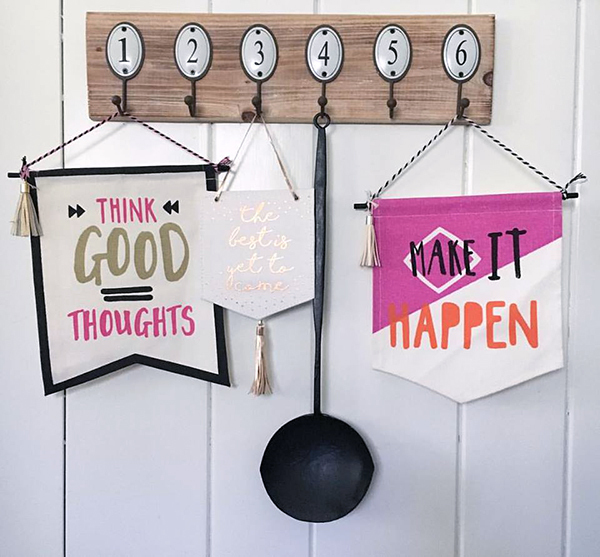 Note that the typefaces I used in this are Action Jackson and Foxy! 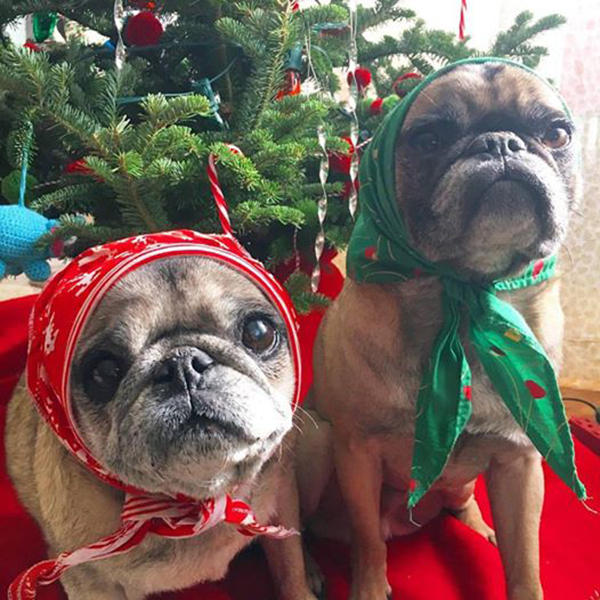 The pugbushkas are sad that the holidays are over. 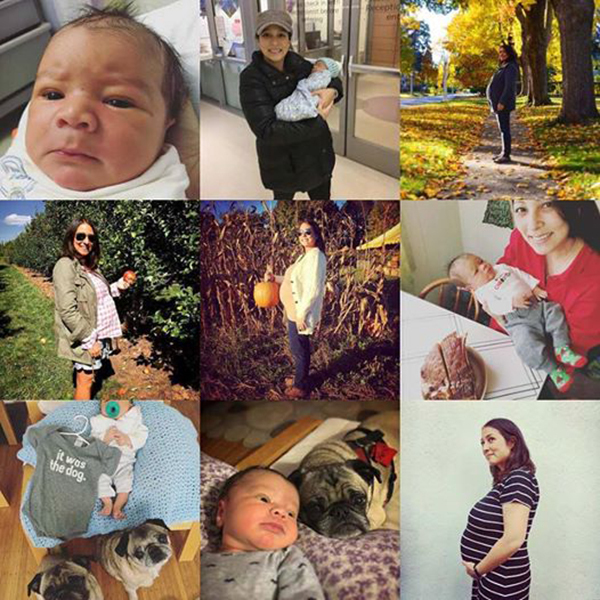 I had to smile when I saw what my top nine Instagram posts for 2016 were. 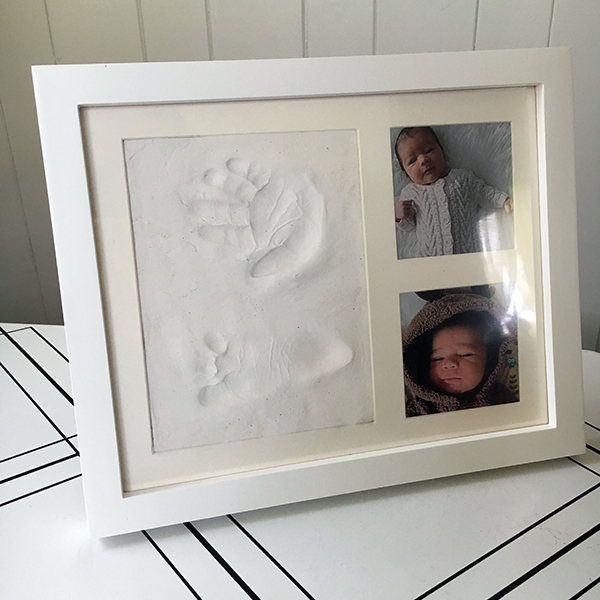 Obviously the anticipation and arrival of Jackson Fox were the highlights of the year! At least the pugs made it into two shots.